Every great movement of God invites a challenge from sinful people. I wrote about this recently in a post entitled How to Stop a Church from Growing, and Pastor Titus S. Olorunnisola, who is planting Bethel Gospel Centre near Melbourne, Australia, asked the magic question in the comments – how, then, do we handle the legalists? 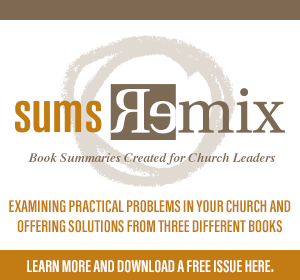 In the case of the early Jerusalem church, the problem was complex. Non-Jewish people all over the region were coming to know Christ, but some very legalistic Jews known as the Judaizers were demanding that all of these new believers go through the rite of circumcision and keep the ceremonial law in order to be both Jewish and Christian. Paul, Peter, James, and others were of the viewpoint that salvation for these newcomers was by grace alone through faith alone, but the vocal minority raised enough of an issue that the elders had to gather for a closed discussion. They finally emerged from this first church council with some wisdom for churches everywhere. As I walk through this passage, I think there is some key wisdom to be applied all these centuries later in a more modern context. We are charged to defend not only the faith of the gospel, but also its fruit. That is, we must uphold the content of the gospel as well as protect its ability to reach new people. To claim to hold to an orthodox view of Scripture while allowing non-scriptural viewpoints to be interposed in our doctrine, resulting in the alienation of those who need Jesus most, isn’t faithfulness to the gospel. Let me put it more practically. Our role as pastors is to protect the flock from wolves and from false teachers. But it’s also to remind our flock that there are sheep who haven’t joined the fold yet and we must do everything in our power to take the gospel to every last one of them. There are battles that aren’t worth fighting. When it comes to our preferences over style and approach, we are called to make allowance for differences of opinion. And then there are battles that absolutely are worth fighting. In fact, there are battles worth risking everything over. The vision, the mission, and the purposes of God for his people are worth being stubborn about. The cause of evangelism and the pathway to discipleship are well worth working for and defending from error. But how? How do we handle the Judaizers and joysuckers and complainers who would rather keep their preferred religious systems to the detriment of evangelism? I think we handle people the way the early apostles did. Get godly counsel. The elders consult with one another. James probably could have handled it himself, but he chose to invite input from other godly leaders. Be bold in your calling. The elders stand with confidence, believing God had called them to lead through this particular moment with clarity and conviction. Stand with and for the lost. They made it clear that we should not make it any more difficult than it already naturally was for non-Jewish people to come to know Jesus. Show them what grace is like. Nobody got kicked out. Everyone was still welcome and the apostles set an example of grace for everyone to observe. 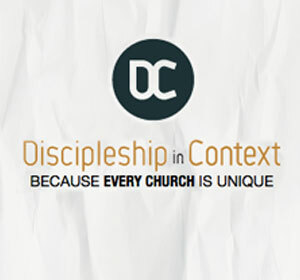 Fight against anything that competes with discipleship. They kept the pathway clear and asked people to make voluntary sacrifices for the benefit of others. Point to Jesus. The pointed people back to the gospel – the good news that Jesus Christ alone saves by grace alone through faith alone. So, when confronting legalists and traditionalists who would ultimately stand in the way of lost people coming into God’s family to protect their own preferences, always choose to stand on the side of the Great Commission and Great Commandment. I often pray for God to give me the boldness of a lion. Granted, sometimes I choose to have the boldness of an angry chinchilla, but I’m a work in progress. I’m still learning to love everyone – even the legalists and traditionalists – while being mean about the vision. 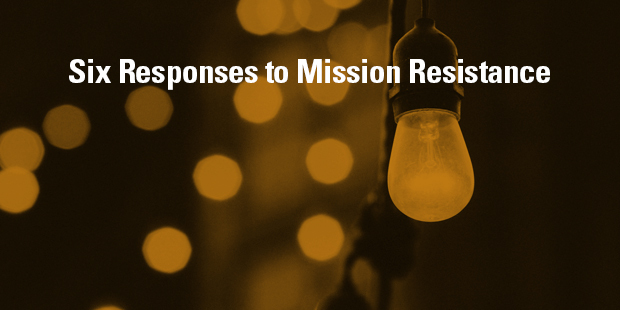 Connect with an Auxano Navigator to learn more about dealing with resistance to your vision and mission.